After my assessment of the institution I agreed within the school, from what I could see, I was really impressed, but being someone who isn’t easily impressed by sight alone, I did some more digging into the school and what I found out impressed me even more.me that this was a school I would recommend to anybody be it friend or foe. But what does an aspirant need to know before applying to study at the BayeroUniversity in Kano? That information is what I captured in this article. The first thing an aspirant should know about a school he or she is about to apply for is whether such school offers the course such an applicant wants to study. After determining that such a course is being offered, the aspirant should then determine the O’Level requirements to study such course and also the required Jamb cut-off mark. The aspirant also has to know how the post-utme of the school is being conducted etc. I captured all this with respect to BAYERO UNIVERSITY KANO(BUK) in this short article. Arabic English language, literature in English, government and any other 2 social science subject Literature, government and any other social science subject. Nigerian Languages English, maths, literature in English, and any other 2 social science subject a credit in a Nigerian language is required Literature in English, government and any other social science subject. Physical and Health Education Maths, English, Biology and any other Two social, science or art subjects. Biology, and any other 2 social or science subject. 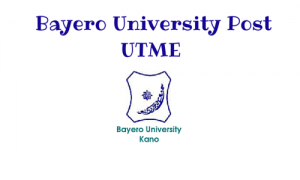 Bayero University Kano invites all candidates who scored above 180 in Jamb and who also chose the school as first in JAMB, to her post-utme screening exercise which it conducts between August and September every year. Candidates must keep in touch with the school website at www.buk.edu.ng for current information so as to know when post-utme registration starts. Registration for post-utme screening is done on the university’s website. Candidates are to log in and follow the laid down procedure. Registration costs N2500 only. Candidates who successfully register will be emailed and also sent a text message about the date and time of their examination.